The Port Douglas marina is slated for a luxury redevelopment that now looks set to double its original minimum projected spend from $100 million to $200 million according to plans received by the Douglas Shire Council. The Crystalbrook Collection project anticipates further mark ups after they revealed a ‘clean slate approach’ will be taken. 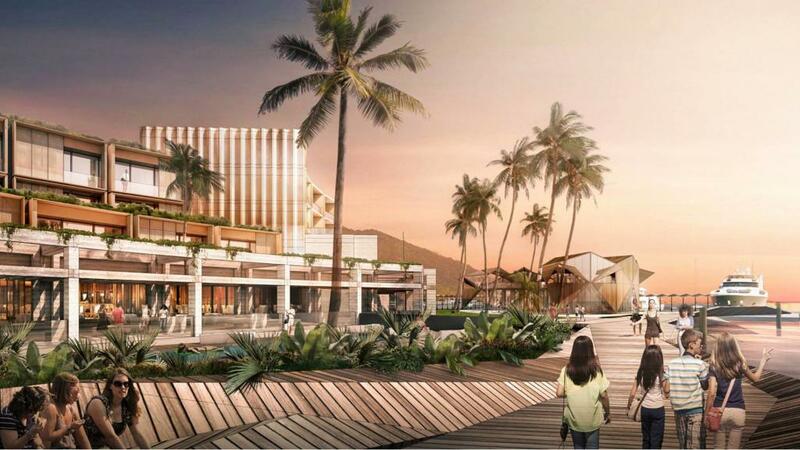 The marina transformation will turn the lifestyle precinct into a world-class modern facility complete with a five star resort offering a variety of Port Douglas accommodation including 130 hotel rooms, 45 villas and 9 apartments. Based in Melbourne, SJB architects have been contracted to design the redevelopment making this project the only on in billionaire developer Ghassan Aboud’s FNQ portfolio to not be locally designed. According to Crystalbrook CEO Mark Davie the Superyacht Marina required a firm with a proven track record with major international hotel projects. SJB has previously designed Art Series hotels in Brisbane and has undertaken major projects in Europe. “Considering the standard the property will be, it does require an international company with experience in building hotels globally,” Mr Davie said. SJB will work with Prime Construction and town planner Urban Sync director Stuart Ricketts who is based in Cairns to make the concept of a tourism drawn card into a reality. “It’s an international team but with a local flavour. Customers that stay at this level of hotel tend to be mostly Europeans and Americans. Wherever they travel, they expect that level of hotel, and we need to make sure it reflects those standards,” Mr Davie said. Originally, the redevelopment plan was allocated an arbitrary ‘$100 million plus’ price tag however the figure has now double and is expected to continue to climb as more detailed costings are completed. “It will be well in excess of $200 million because of the size of the property we’re now building,” Mr Davie said.